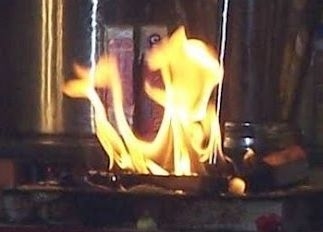 This site has moved to http://aupasana.com. This old version of the site will no longer be updated. The Digital Library of India (DLI) is one of the best sources of sanskrit documents, especially for traditional, authoritative texts with primary sanskrit commentaries. Unfortunately, the web interfaces to get at this wealth of information are poor, and the dli-viewer software is an attempt to make it more user friendly. You can search, download, and generate a pdf version of DLI books from this single application. No additional software is required to create pdf files from the DLI files. Screenshots are shown below (click to view the full-sized images). Download the zip file below, and unzip the folder. You can then click on the dli-viewer.exe file to launch the application. This software depends on version 3.5 of the .NET framework. If you get the "The application cannot start error" or the "Could not load file or assembly ... version 3.5.0.0" error, you must first install version 3.5 of the .NET framework. It is available here. The images hosted at the digital library of india are monochrome tiff images, compressed with ccitt4 compression. These are high-quality files, and are suprisingly small for their quality. However, for books with a large number of pages, the resulting pdf file will still be large. 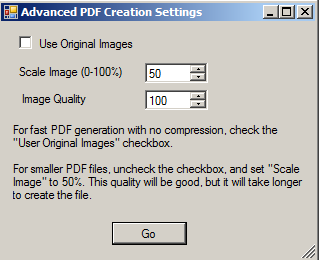 This software optionally allows you to reduce the pdf file size by reducing the quality of the original DLI images. 4) Create a PDF with control over it's quality and output size.